In the United States, up to 50 billion dollars are lost annually due to office work-related musculoskeletal complaints and sick leaves. The complaints are most commonly caused by poor work ergonomics. Modern office work requires continuous upper body support and muscle tension. This burns energy, disrupts circulation and causes many chronic complaints which can result in sick leaves. Ergorest products were developed to prevent such complaints. We are the world's leading manufacturer and developer of forearm supports. All of our products have been tested and proven effective. With the help of our products, our corporate customers can significantly decrease their employees' sick leave periods while improving efficiency and wellbeing at work. The Ergorest 330 000 is a basic model which provides help for those working with display screen equipment, which places strain on the arms, neck and back. It supports the arms, thereby preventing occupational health problems, easing the tension caused by working with computers and helps guide the body to the correct working posture. 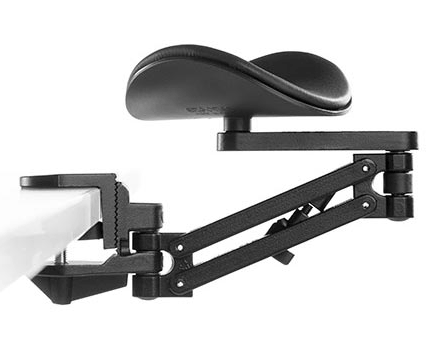 Support and ergonomics for all work involving display screen equipment. 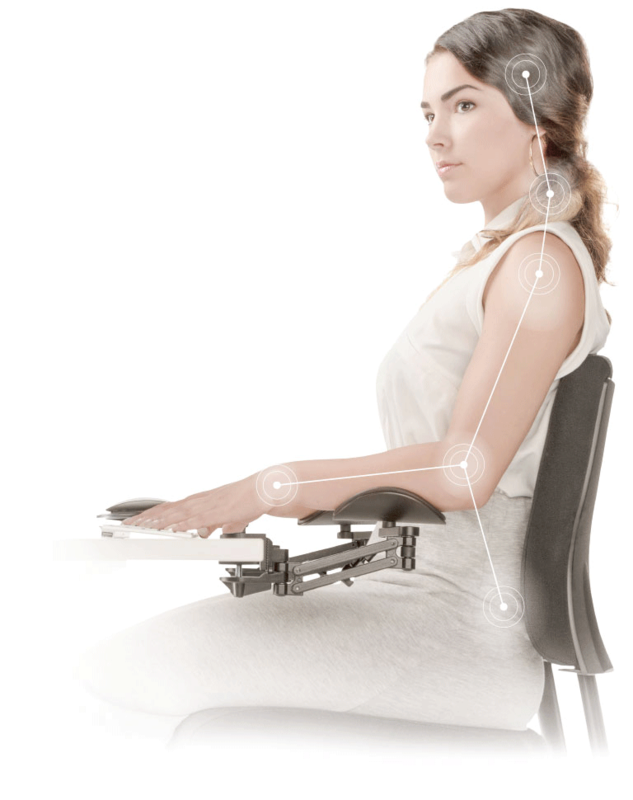 The Ergorest 330 000 is a basic model which provides help for those working with display screen equipment, which places strain on the arms, neck and back. -It supports the arms, thereby preventing occupational health problems, easing the tension caused by working with computers and helps guide the body to the correct working posture. 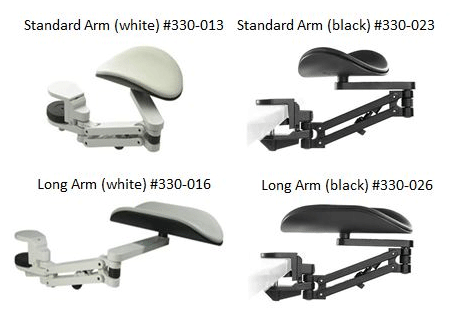 Ergorest forearm supports are designed with functionality in mind. Their durable double support structure is made of cast aluminium and guarantees firm support and an unlimited range of movement. The support pad is upholstered in genuine leather, making it easy to maintain and a pleasure to use. The 330 series also includes the Ergorest 330 013, which is equipped with a longer support structure and has a larger operating radius, and the Ergorest 330 016, which is equipped with a longer support pad providing more support surface area. Pay attention to the correct installation of the support and work ergonomics to achieve the best result. In the correct working posture, the position of the head and neck is natural and the angle between the body, elbows and knees is greater than 100°. The backrest of the chair is slightly tilted and the feet rest on a foot support. First adjust the height of the desk to suit your sitting position. Then adjust the forearm supports so that they provide light support. Do not adjust the support so that it is too high. Head: An ergonomic work position helps you to concentrate on your work and keep your mind active.